George Augustus Sala, the youngest son of Augustus Sala (1792-1828) and Henrietta Simon (1789-1860), was born on 24th November, 1828. After the death of his father, George's mother supported herself and five surviving children by teaching singing and giving annual concerts in London and Brighton. Educated at the Pestalozzian school at Turnham Green, Sala left at fifteen to become a clerk. Later he found work drawing railway plans during the Railway Mania of 1845. A talented artist, Sala also worked as a scene-painter at the Lyceum Theatre and in 1848 was commissioned to illustrate Albert Smith's The Man in the Moon. This was followed by an illustrated guidebook for foreign tourists that was published by Rudolf Ackermann. Other work included prints of the Great Exhibition and the funeral of the Duke of Wellington. Sala was also interesting in becoming a journalist and in 1851 Charles Dickens accepted his article, The Key of the Street, for his journal, Household Words. 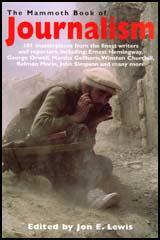 This was the first of many articles that Dickens published over the next few years. In April, 1856, Dickens sent Sala to Russia as the journal's special correspondent. Sala also contributed to the author's next venture, All the Year Round and other journals such as the London Illustrated News, Punch Magazine and Cornhill Magazine. In 1857, Sala began writing for the Daily Telegraph. For the next twenty-five years he contributed an average of ten articles a week. Although paid £2,000 a year for his work, Sala, who was an avid collector of rare books and expensive china, was always in debt. Sala loved travelling and in 1863 accepted the offer of becoming the Telegraph's foreign correspondent. Over the next few years he reported on wars and uprisings all over the world. During the Franco-German War he was arrested in Paris as a spy but was eventually released from prison. He wrote several books based on his travels including From Waterloo to the Peninsula (1867), Rome and Venice (1869), Paris (1880), America Revisited (1882), A Journey Due South (1885) and Right Round the World (1888). After leaving the Daily Telegraph Sala moved to Brighton where he attempted to start his own periodical, Sala's Journal. The venture failed and left him deeply in debt and he was forced to sell his large library of books. 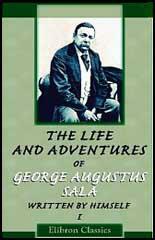 George Augustus Sala died at Brighton on 8th December, 1895.